Everything you need to know about The Witch and the Hundred Knight. The Witch and the Hundred Knight (known as Majo to Hyakkihei in Japan) is an Action Role-playing game that was developed and also published by Nippon Ici Software (Soul Nomad & the World Eaters and Z.H.P Unlosing Ranger Vs Darkdeath Evilman) exclusively for the PlayStation 3. Despite delays in its release the game is already available in Japan as of July 25th of 2013. Since then the game has been scheduled to be released in Europe and North America on March 21st of 2014 and Marth 25th of 2014 respectively. While a limited edition version (which contained a 44 page long hardback art book, alongside the games soundtrack which spanned two discs and a figurine of the games main character, Metallia Nendoroid Petit) was available upon launch in Japan, there has been no mention of a collectors edition being put together for the western release. 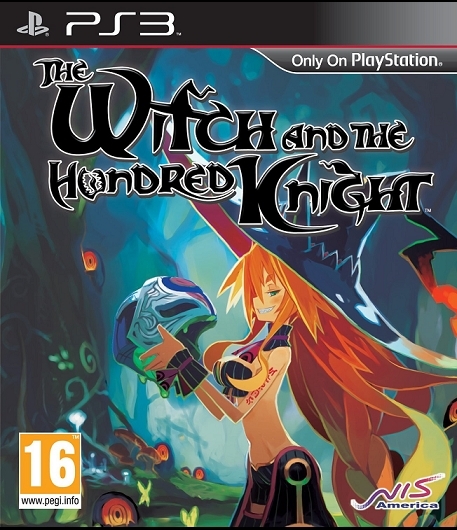 The development period for The Witch and the Hundred Knight started at some time in April of 2010. The original intention for the game was to have it completed in one, to one and a half years, but due to unexpected development issues the game had to be delayed at various points, explaining the delay from the planned release date of June 28th of June 2012 to July 25th of 2013. Nippon Ici Software have said that one of the reasons for the delays was that they didn’t want the game to be graphically inferior to other games on the market. At one point in time during the early development cycle of the game there was considerations of making the game an open world title, but they decided to focus more on the 3D graphics tech. This means that the development team primarily focused on refining the games action, and reducing load times. Because of this, the open world idea was scrapped. At the beginning of the game, players will set out from the home of the main character, Metallia. After leaving her house, you will be able to explore the world of the game, but you cannot return to your home until you have reached and activated a save point. 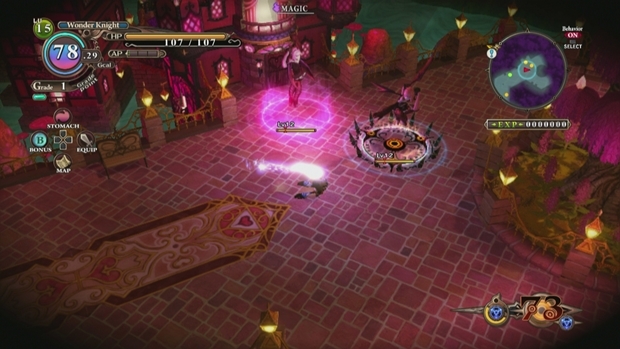 The Witch and the Hundred Knight is played from a top down view with combat coming in the style of a Hack and Slash game. As the player progresses through the stage based game (with stages becoming available for revisiting once completed) they will encounter large bosses that they must defeat to advance further into the game. When fighting these bosses the player will attack using a variety of abilities of the particular knight being used. Being able to summon the other 99 knights will enable the player to make use of their powers for a short time, these other Knights are a key feature of the combat so it’s essential that the player learns to utilize the power they can bring to the battle. The player can acquire a variety of side quests and missions by visiting the near by towns and villages to talk with the local residents. Great care must be taken when visiting these villages however, the player can turn down requests from villagers and can even attack them. When this is coupled with their pre-set parameters they may well view and treat the player as hostile if the feel they’ve been poorly treated. Summoning and using combat powers will drain Metallias magic power, this can be regained by replenishing your “GIGAcal”. GIGAcal is the source of Metallias magic power and can be obtained by eating. The player must keep a constant watch on their GIGAcal intake so they don’t run out in combat, thus eliminating their ability to summon the Knights. Collecting various items throughout your journeying and adventures will allow you to craft and synthesize items to aid you. Somewhere deep in the confines of the forest, lives a duo of opposing witches. One, is the beautiful young Marsh Witch, the other is the ugly Forest Witch. The two are currently engaged in a long and deadly war with each other for supremacy. By mere chance, the Marsh Witch one day encounters the Hundred Knights of legend that she ensnares with magic. Her plan is to use these knights to help her finally gain the upper hand and defeat her foe. Metallia: Metallia is a beautiful young Marsh Witch and anti hero that serves as the main character of The Witch and the Hundred Knight. It is her goal to get rid of her long time rival who just so happens to be the Forest Witch. If she can rid herself of the Forest Witch she will be able to fill the world with the Marshland that she loves. She hopes to accomplish this with her control of the Hundred Knights. Alrekino: Alrekino is the Marsh Witches butler. Though he is a faithful servant of his mistress his words are often muttered in polite insolence. His appearance is rather run down and he puts up with a lot of abuse from Metallia. Lana Nia Luccini: A high spirited and obedient Shepard that hails from the Tettara Desert which is where he and his family practice star reading. The one thing he enjoys more than star reading though, is witches. Nezaria: A young but highly capable witch who manipulates fog, she is also acting chairwoman of witches during their gatherings. She rarely speaks herself, letting her talking staff do that for her. Teresse: An apprentice witch in training. She’s quite the trouble maker and appears to have her own motives. She too follows Metllia around.